Get Stuff Done With Any.Do | Brand On! 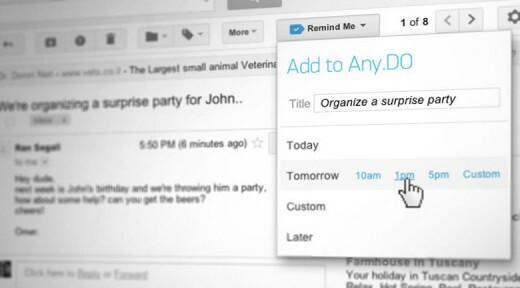 Any.do is a cross-platform to do list that is beautifully designed and easy to use. I like it for keeping track of my personal to dos. It’s currently available as an Android and iPhone app as well as a Chrome extension. The company is working on a web version. In Chrome, there is also have a neat feature where you can integrate Any.do with a Gmail account to create action items and reminders directly from your inbox.